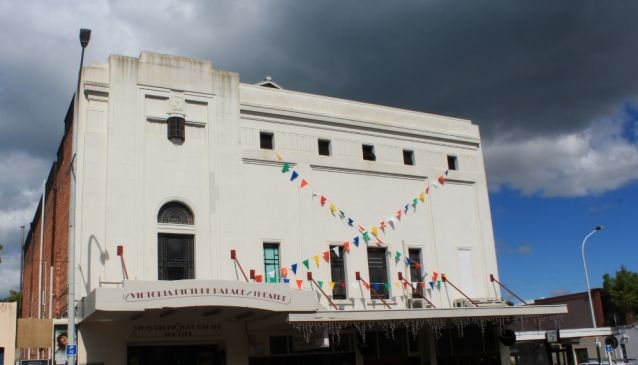 Historic cinema located at the top of the high street in the pretty seaside town of Devonport. The old style cinema with quaint lobby and decor is a welcome change from the multiplex experience. The Victoria Theatre was built in 1912, and is the oldest purpose built cinema still in operation in the Southern Hemisphere. The cinema was constructed in the silent movie period by American John Leon Benwell. In those days around a thousand people could enjoy a night out in the theatre. The cinema serves a selection of sweets, desserts and a range of wine to take into the theatre. Next door, Dida's Wine Lounge is a great place to discuss the movie over a glass of wine and sample some tapas. The Victoria Theatre is used for both films and performing arts in the centre of Devonport.